The manga illustrations of Suehiro Maruo have extended into the art field and pop culture with his popular characters. Violent and taboo themes become fascinating and familiar with The Little Camellia Girl, Inugami, and his many vampires. 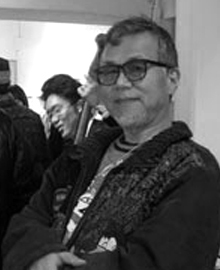 - Chronological list of titles published by Suehiro Maruo, including front cover thumbnails, dates, English and Japanese titles, editions, and more. Books, prints, posters, postcards, and other goods by Suehiro Maruo for sale on AkaTako.